In recent years, there has been an explosion of services designed to let you access geo-restricted content Bypass Georestrictions By Changing Your Smartphone's DNS Settings Bypass Georestrictions By Changing Your Smartphone's DNS Settings Services like UnoDNS and Unblock-Us aren't just for your computer. They'll work on smartphones, tablets, and even game consoles. Read More from anywhere in the world. Originally, VPNs were all the rage. But with the VPN clampdown by services like Netflix Which VPNs Still Work With Netflix? Which VPNs Still Work With Netflix? Netflix is cracking down on VPNs, but there are a few that still work. 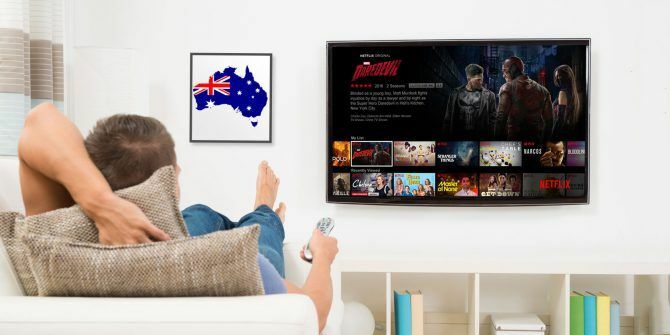 Here are the best VPNs to use with Netflix. Read More and BBC iPlayer, some users have turned to smart DNS providers instead. For people who are desperate to access such apps, they both have pros and cons. Of course, changing your DNS servers 4 Reasons Why Using Third-Party DNS Servers Is More Secure 4 Reasons Why Using Third-Party DNS Servers Is More Secure Why is changing your DNS a good idea? What security benefits does it bring? Can it really make your online activities more secure? Read More or using a VPN 11 Reasons Why You Should Be Using a VPN 11 Reasons Why You Should Be Using a VPN Virtual private networks are affordable and easy to use. Here are some reasons why you should be using a VPN if you aren't yet. Read More can have exceptional benefits outside the world of geo-blocking. However, many users won’t care about those benefits. To help you out, I’m going to focus on the two solutions specifically from the standpoint of someone who is using them to access blocked content. What are they? How to they work? And, most importantly, what impact do they have on your online security? Keep reading to find out. A VPN (Virtual Private Network) lets you connect to a secure private network remotely. They are widely used by companies to allow employees to access databases and business-critical apps when they are out of the office. Connecting to a VPN (such as ExpressVPN or any provider in our best VPNs list The Best VPN Services The Best VPN Services We've compiled a list of what we consider to be the best Virtual Private Network (VPN) service providers, grouped by premium, free, and torrent-friendly. Read More ) will direct all your internet traffic to the new network, and you effectively do your browsing through that network. In addition to getting around geo-blocking, VPNs significantly improve your online security and privacy. 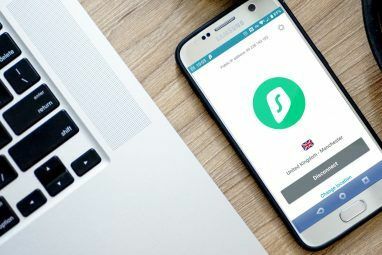 In an age when it seems like every company in the world is trying to get access to your data and browsing history, everyone should be using one. DNS stands for “Domain Name System.” It’s like the phone book of the internet. DNS servers are responsible for pairing web domains (such as google.com) with the site’s underlying IP address. As such, changing your DNS provider away from your ISP’s default service can bring awesome benefits, including faster browsing, parental controls, and increased security technology. Unlike regular DNS, smart DNS directs users to a proxy server which is specifically designed to help unblock restricted content. How Do VPNs Help Access Restricted Content? When connecting to a VPN, your computer acts like it’s in the physical location of the VPN network. More importantly, websites see an IP address in a particular location and automatically assume you’re based there. For example, if you live in the United Kingdom and connect to a VPN in the United States, websites will display the American version of the site. What’s the Problem With VPNs? In the last couple of years, websites that offer streaming content have started blocking users on VPNs. It’s surprisingly straightforward to achieve: the companies collate a list of IP addresses used by VPN providers and block any traffic that originates from them. Of course, some IP addresses will always slip through the cracks, thus resulting in a game of whack-a-mole between the content providers and VPN companies. How Do DNS Servers Help Access Restricted Content? With the ever-decreasing reliability of VPNs for accessing geo-blocked content, users have been migrating to smart DNS providers instead. The principle is the same as VPNs: both your computer and websites you visit are spoofed into thinking you’re in a different place from your true locale. However, while the effect for the user is the same, the underlying process is very different. A smart DNS will receive information about a user’s location and change it to a new location before resolving the IP query. It does this by routing all your traffic through a dedicated proxy server. The server is located in the country where the website you want to visit is based. VPNs are the number one weapon in the battle to keep yourself safe from prying eyes. If you use a VPN, the biggest benefit is encrypted traffic. A hacker won’t be able to see what you’re doing online, and neither will your ISP. It passes through a secure tunnel to the VPN network, and won’t be visible by anyone until it enters the public internet. And remember, if you only visit HTTPS sites, your browsing will always be encrypted. If you’re choosing a VPN provider 5 Signs You Can Trust Your VPN Client 5 Signs You Can Trust Your VPN Client Using a VPN helps protect your traffic from snooping and your information from theft. But how can you be sure that your VPN is protecting you? Here are five signs your VPN is trustworthy. Read More , you still need to pay attention to the VPN protocols. Most providers offer SSL/TLS, PPTP, IPSec, and L2TP — but they are not all equal, especially from a security standpoint. For example, there are known vulnerabilities with PPTP, with many problems deriving from the authentication processes it uses. As a rule of thumb, you should use SSL protocols. The most security-conscious VPNs won’t even anonymously log traffic. Theoretically, logs could allow a VPN provider to match an IP address and a time stamp to one of their customers. If the provider finds itself on the end of a court’s subpoena because some of its users have been accessing illegal content or downloading copyrighted videos, the company might potentially “fold” rather quickly and relinquish any information they have. Smart DNS servers are not security measures. Yes, some top-end DNS providers introduce technology such as DNS-over-HTTPS and DNSSEC, but you won’t find those features on services that solely focus on forging your location. Most importantly, DNS servers do not encrypt your data. This dramatically increases their speed compared to VPNs (which is a big reason why they’re popular among cord-cutters), but they will not hide your traffic from companies, websites, your ISP, governments, or anyone else who wants to spy on you. Ultimately, all your traffic is logged against your IP address, and anyone with the right tools can view it. You’re also putting yourself at risk from man-in-the-middle attacks What Is a Man-in-the-Middle Attack? Security Jargon Explained What Is a Man-in-the-Middle Attack? Security Jargon Explained If you've heard of "man-in-the-middle" attacks but aren't quite sure what that means, this is the article for you. Read More (MITM). MITM attacks occur when an attacker is intercepting and altering any traffic between two parties who believe they are communicating directly with each other. DNS servers are one of the main ways in which hackers launch MITM attacks. It is very easy for an unscrupulous smart DNS provider to offer rock bottom prices then conduct DNS hijacking on all its customers. Look no further than the now infamous Hola VPN incident to see how low some people are willing to stoop in the pursuit of profit. If you are desperate to watch the latest season of Orange Is The New Black, you need to give VPNs a wide berth. They are unreliable and no longer fit for purpose if you want to unblock content. Instead, you should use a smart DNS service. However, users should also use a VPN service. If you value your privacy and security, there is no better way to keep yourself safe online. Remember, smart DNS providers do not help your security — if anything, they hinder it. Do you use VPNs or smart DNSs to circumnavigate geo-blocked content? Why have you chosen your particular approach? As always, you can leave all your thoughts and opinions in the comments section below. Explore more about: DNS, VPN. Been an Expressvpn user going on a year now. It's a good service.